How healthy is food in Thailand? Home > How healthy is food in Thailand? 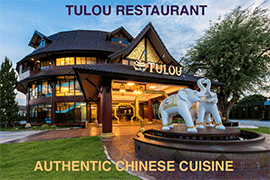 Newcomers to Chiang Mai are often delighted about the number of restaurants and vegetarian places and the abundance fruits and vegetables available here. Some people think that living in Chiang Mai is more healthy than living in the West or living in a big city. But how true is this? First, yes: there is a large variety of all kinds of (tropical) fruits and vegetables that aren't easily available in for example a cold Western European country, and they are cheap when you buy them according to the season. Banana's are practically falling of trees along the road, and if you buy the seasonable fruits and vegetables there is always a large local supply that is not expensive. The 'distance-to-market' of these products is relatively short, if you compare it with our long and complex food chains in the West: kiwi's from New Zealand, banana's from Columbia, Parmaham from Italy (but from pigs bred in the Netherlands), etc. There is a total abundance of food from all regions in Thailand and it's all available here. The best place you can witness that is the big market close to the American Consulate: Muang Mai market (ตลาดเมืองใหม่). This is in fact where most of the restaurants buy their products. It's originally set up as a whole-sale market but they will sell to practically anyone buying a decent portion and often even if you buy smaller portions. If you bought at locals markets through town before, you'll be flabbergasted how much lower you can still buy here. Cars are driving in during all times of the day to deliver food from the provinces and so definitely a lot of it is very fresh. Compare that to a container transport from one continent to another into our Western supermarkets. Having said that, somehow certain food chains within Thailand and with the rest of the world can be very inefficient and this adds to higher costs, so not all fruits you buy on the market are really that cheap. Unfortunately, the use of pesticides in Thailand is widespread, regulation and norms lag behind western standards, and enforcement is poor. Thailand is a major producer of all kinds of agriculatural and livestock products, but it can't export much of it to places like the EU and the US simply because there are too many residual pesticides in the food. However bad, I think the situation in Thailand is still better than in China, where producers are willing to anything to get more profit: the infamous schandal of adding melamine in baby milk several years ago, retrieving cooking oil from waste (! 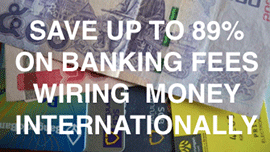 ), adding toxic coloring to moon cakes etc. etc. Some fruits and vegetables in Rimping Supermarket are marked with a sticker "Pesticide Free" or "Pesticide Residue Free". This suggests that other products are sprayed on. Rimping even has a special Pesticide room to check on residual pesticides. A few years ago, even rice (!) proved to be unsafe: in several tests, many samples were found to be contaminated with high levels of methyl bromide. 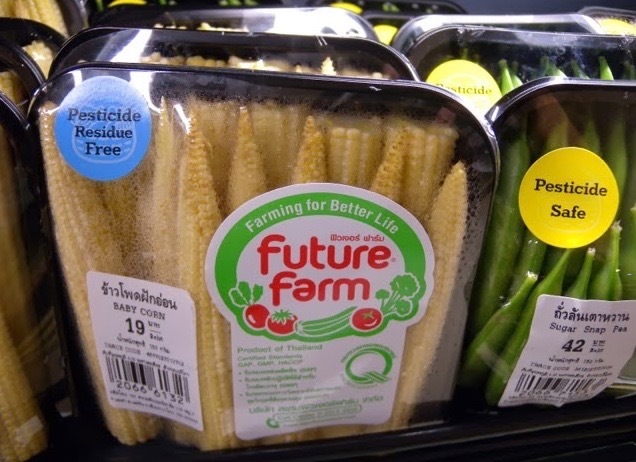 In May 2016, research showed that about 50% of the vegetables and fruits marked by the Thai goverment with a quality mark fail to pass UK tests on residual pesticides. About 25% of so-called organic vegetables also failed the tests. Fumigation of buildings, sewage channels and so on is done regularly and all those toxics sooner or later end up somewhere in the food chain and eventually on your plate. 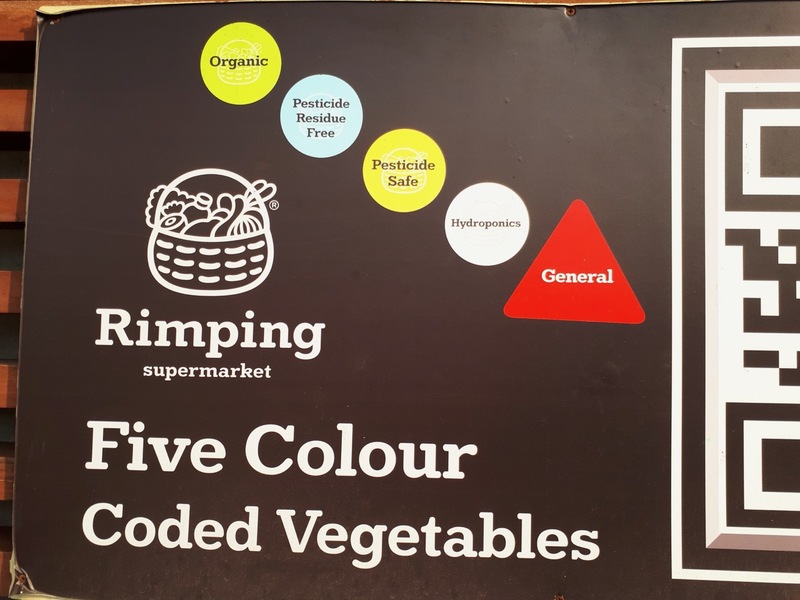 So, it is highly likely that some of the vegetables you consume during your stay in Chiang Mai were grown using some form of pesticides or chemicals and it's more likely to get some pesticide input in Thailand than in countries where norms and regulations are stricter. Now some restaurants advertise that they serve organic food, so you'd think you'll be safe there. Truth is, there is no official definition of organic food in Thailand and no official organisation that checks and certifies it. So any restaurant can claim to have organic food because they believe it is so, or perhaps they only serve some organic vegetables but others are not. I even know of some vegetarian health places that explicitly advertise "organic" but I know they go to the same big market (muang mai market) where everyone goes, and most of the stuff sold there is certainly not organic. Some better restaurants get their vegetables from their own farms, so they can control what they use. But you can't really be sure if they don't use any form of pesticides or chemicals, because no official organisation certifies it. The farmer may think he's producing organically, but he's probably got no clue of any definition. For example, if he fertilizes the land with some kind of chemical, that is subsequently absorbed by the plants, is that organic? If he sprays with a mild toxic, is that organic? Who knows? In other words, when you see the word "organic", there is perhaps a chance the food contains fewer pesticides and chemicals, but it's not sure at all. Royal Project products are probably close to organic and they have many shops in town (near Royal Flora, on Suthep Road on CMU Campus, inside Muang Mai market, and along Chiang Mai Lamphun Road in Plaza 89 near Tex Mex restaurant). JJ Market on Sundays offers organic products, and then there are individual farms and producers offering perhaps organic products, such as Tempeh Chiang Mai and farang bread makers. Another problem with food in Thailand are parasites. There are many kinds of worms that hides under leaves, in raw meat and so on and can end up living a happy life in your intestines if you don't pay attention. If you have worms, you may suffer from fatigue or have a big appetite or you may not notice anything at all. It's rather common for Thai people and even kids to take a short worm cure once in a while, by taking a few pills that kill the parasites. You can reduce the risk of eating parasites (still alive) by properly inspecting and cleaning the vegetables, and by cooking the food well, rather than having meat half-cooked. Raw food may be nice, it's even a new food trend and some believe it's the way to go, but with raw food you've got to be even more careful with parasites. 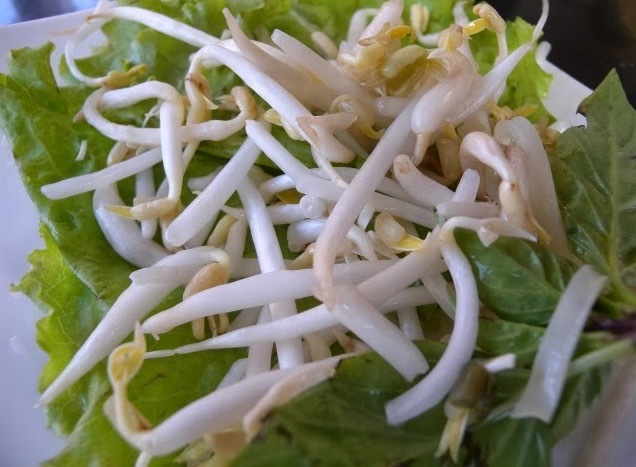 So, paradoxically, eating a lot of salad, may not always be so healthy at all in a country like Thailand, because you may have more risk of inviting a parasite to your organs. A while ago, maggots were found crawling (!) from the vegetables served on the table in Shabushi, a famous Japanese imitation chain food restaurant. I've seen and been to restaurants where food hygiene was poor, staff ignorant and indifferent, and proper management lacking, and you can expect all kinds of problems here. You risk food poisoning especially at Japanese imitation restaurants (because they don't know how to keep raw fish fresh and buy inferior qualities), and pizza places (because they add ingredients like salami that are off and probably the oven wasn't hot enough to kill all the germs). Salmon that originates from sweet water rather than from the sea may contain very harmful parasites. If you eat raw salmon at cheap Japanese imitation places, you've got more risk of getting that. If you eat a lot of vegetables or you're a vegetarian, it doesn't mean you eat more healthy than someone who eats meat. Perhaps your intake of pesticides is even higher than the average person, depending on where and what you eat. 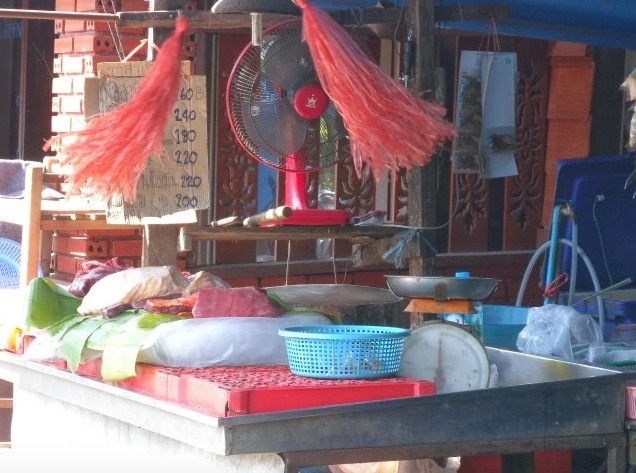 Meat and fish is likely to be more free of pesticides (because the liver of the animal should filter some of it), but other problems may occur with meat and fish in Thailand. Perhaps growth hormons, antibiotics or other medicine were given when breeding the animal and Chiang Mai doesn't have much fresh fish, most of it is from a fish farm and we don't know what they give to the fish (hormons?) to make them grow faster. Rumour has it that a popular fish here, Tab Tim, is genetically modified and indeed it doesn't look so natural ;), but I don't think it's modified. When it comes to meat and fish, I think there is definitely a huge difference in quality and you can taste it. The cheaper places often provide rather inferior qualities that taste bad and I suspect that's partly due to hormons and other unnatural stuff. Chicken is probably one of the safer kinds of meat because there is such a large supply of it and Thailand is one of the worlds major exporters of chicken in the world so this means they comply with international norms of food safety and hygiene. Pork is less sure and good beef (a good steak) is extremely hard to get. Fish from the sea has to be transported a long way and so it's quite hard to find good quality and fresh. What fish and meat you can buy in the supermarket is partly locally bred and imported, but unfortunately I don't think it's of real high quality, in general, though perhaps not severely contaminated with hormons and alike. One of the best shops to buy your meat is Makro. Another issue is with how freshly kept the meat is. 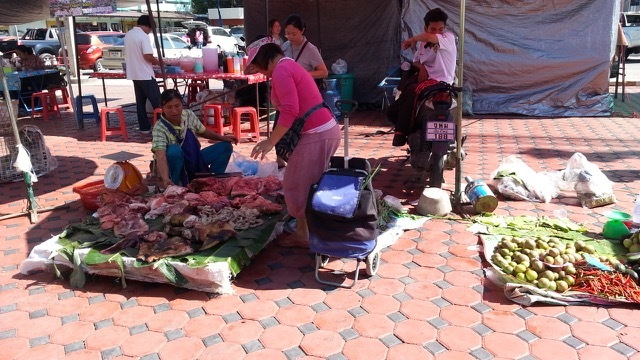 At many places, you see meat laying open on a tray along the road, barely protected from flies. Cook it for a long time, it may be okay, but I prefer well-kept meat. There is no 100% guarantee to avoid pesticides, chemicals and parasites in Thailand. But, you can do a few things to minimize the risks of intake. First of all, by selecting the better ingredients or by going to the better restaurants. Restaurants that take great care of their food, source selectively, and wash the vegetables properly probably offer you less toxidity and chance of parasites than the average restaurant or chain food restaurant. Now of course you don't want to have maggots on your plate (even though they contain a lot of protein and in fact can constitute a traditional Thai dish in itself :) ), but interestingly, if your vegetables are attractive to worms and insects, it is actually a good sign because it means that there aren't too much pesticides on it. Vegetables that simply look too good are suspicious. This is a way to source and select your products, and I had an interesting discussion with a restaurant owner in Chiang Mai who uses this as one of the criteria to select his veggies: whenever the leaves look too good, he doesn't buy it, but when there are some traces of insects having eaten into it, he'll take it. 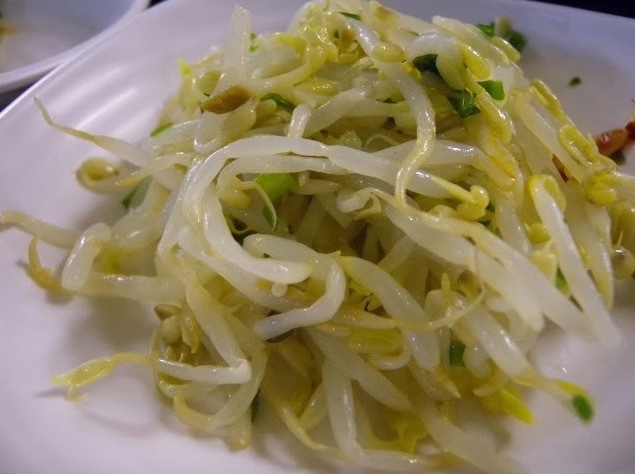 Beansprouts, for example, that are too beautifully white may have been chemically treated. A noodle shop owner said she always used her left hand to dig into a pan with bean sprouts and put them on top of the noodles (kwetiu) and experienced skin irrations on her left hand while her right hand was fine. 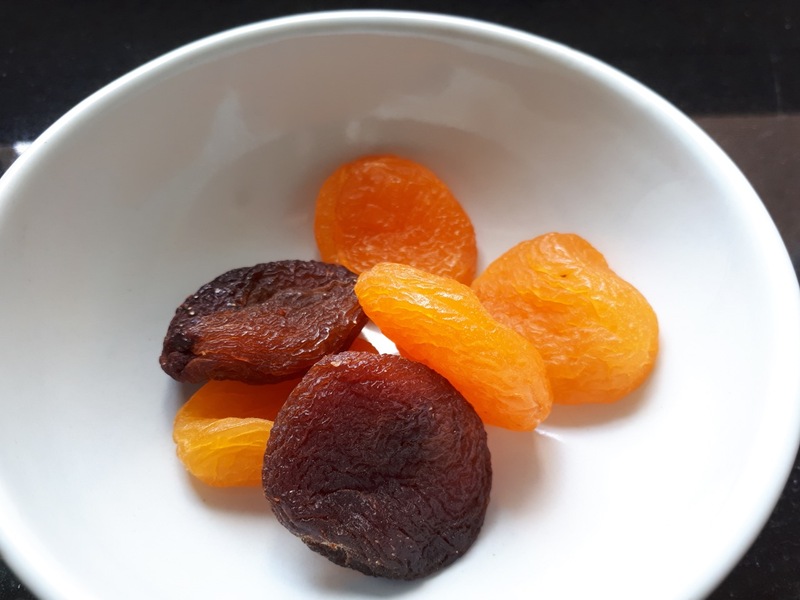 Even in countries that are stricter than Thailand with regard to food safety, some processing is allowed to make food seem more appealing in our minds: dried fruits are treated with sulphites to maintain their 'orginal' bright colour that would turn darker and brownish if untreated. Tuna fish and probably a lot of meat also turns brownish if left to its natural aging without going off, but it's being treated to retain its reddish colour because it misleads our minds to think that it's more fresh. In Thailand, the same but more of this is happening and you just have to peel a tangerine to feel the amount of sticky wax that has been sprayed on its skin to make it seem more shiny. 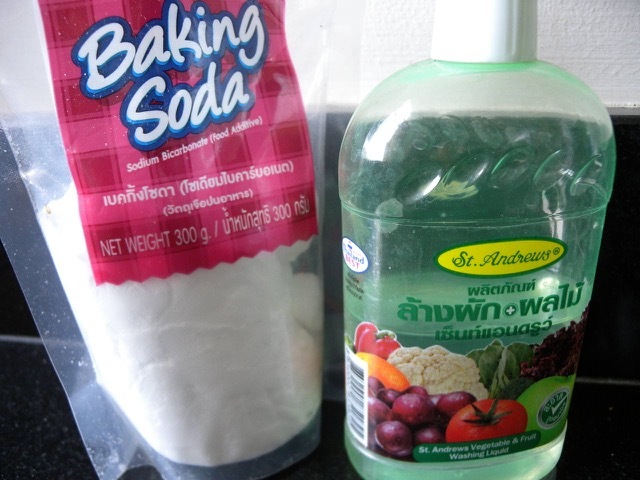 Washing vegetables can be done by soaking them in water or by rinsing, but it can be more effective to use a bit of baking soda powder and there is even special vegetable and fruit liquid soap in the supermarket. Note that you shouldn't leave the stuff in the water for too long, because then the soap may be absorbed by the veggies or fruits and you get rid of one problem by substituting it with another. Baking soda powder is edible so this can be the milder, safer and cheaper way. 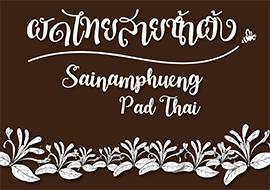 Overall, it's probably hard to completely avoid the intake of pesticides and other harmful chemicals through food when you stay or live in Chiang Mai, but you can definitely reduce the risks, by carefully selecting your ingredients or the restaurants you go to, and wisely use your taste and smell to distinguish better qualities from worse. Did we miss something? 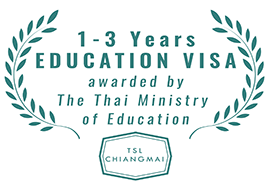 Do you have tips or suggestions on how to get a purer intake of food while living in Chiang Mai? Share it here as a comment. What's your take on street food and KSK food court? This article with the air pollution issue kinda killed TH for me a retirement destination.